This article suggests why models might well be identified as instruments of service while scaffolds might not. An abbreviated version was written for The J. Irwin Miller Symposium, “A Constructed World,” at Yale University in October 2015, organized by Joyce Hsiang and Bimal Mendis. The purpose of the symposium was to grasp the crisis within architecture posed by the Anthropocene. The titles of most sessions at the symposium—Survey, Excavate, Demolish, Frame, Assemble—suggested human actions taken to control and coerce space. The panel in which I was invited to participate, Scaffold, in contrast, names a thing that disciplines rather than a human performance of enforcement. A scaffold is a conspicuous, fixed assemblage that enables the construction of a building or the execution of a criminal. The word is derived from the old French catafalque: the often highly ornamented but temporary platform on which the corpse of a prominent figure was displayed to its public. Scaffold’s late medieval uses include temporary structures supporting builders and buildings, spectators and performances. Its meaning also shifted from identifying an elaborate temporary setting for the dead body of the famous to indicating where the dead body of the infamous was first produced and then displayed. To do its work adequately, a scaffold is necessarily stable. But it is also temporary: when its work is finished, the scaffold is dismantled. Its existence may be essential, but it is assumed to be brief. The scaffold is inevitably marginal and readily forgotten. It lacks autonomy because it is only understood in relation to the more prominent subject that it supports or frames. Memories commonly cling to the structure or body once sustained by the scaffold, but only rarely to the scaffold itself. It is an entity without much of a life of its own. Scaffold is more powerful and less evanescent as a metaphor than it is as a thing. Certainly that was its primary function in the other papers from our session. Scaffolds, as metaphors, are ubiquitous, whether describing conference sessions, medical procedures, indexing systems, discourse analysis or hermeneutics. For example, scaffold “as a metaphor… currently seems to be omnipotent in conversations about general education.”1 Certainly architectural terms are familiarly deployed metaphorically. From the Song of Solomon’s “a garden enclosed is my sister, my spouse,” to Ibsen’s Pillars of Society, they are everywhere. But, apart from “scaffold,” there are not many architectural objects that live more fully as metaphors than as objects-in-the-world. 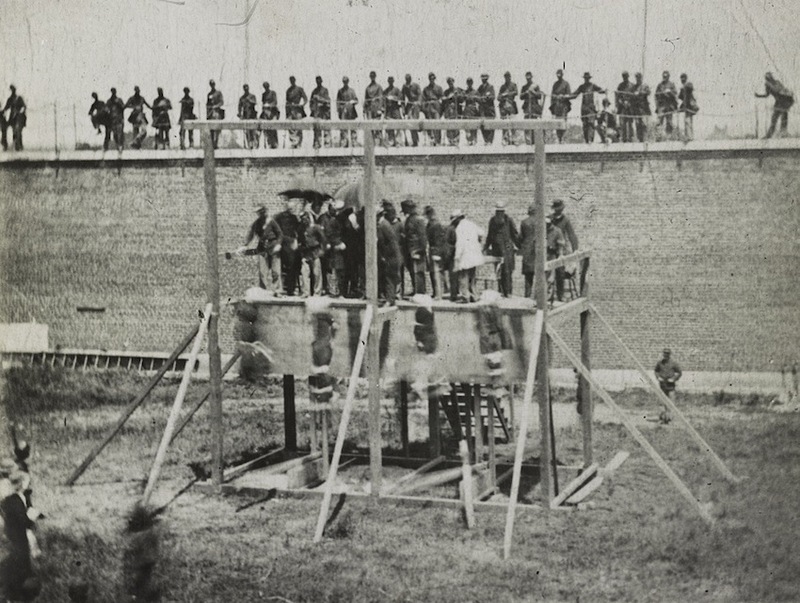 Execution of Lincoln’s assassination conspirators, view of scaffold, 1865. Photograph by Alexander Gardener. http://www.loc.gov/pictures/item/2013648747/resource/. Library of Congress Prints and Photographs Division Washington. 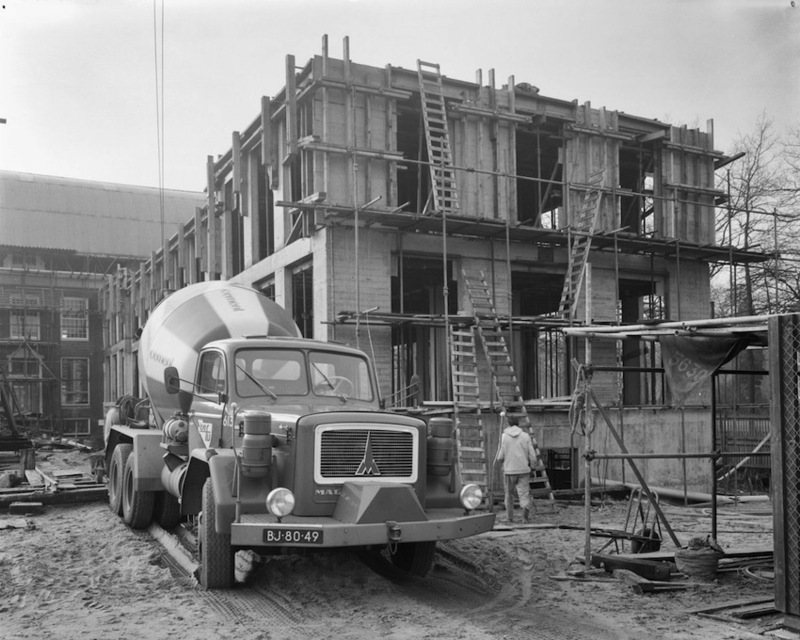 Building under construction, at Broederplein, Utrecht, 1971. Photograph by A. J. van der Wal. https://commons.wikimedia.org/wiki/File:Nieuwbouw,_exterieur_-_Zeist_-_20221606_-_RCE.jpg Rijksdienst voor het Cultureel Erfgoed on Wikimedia Commons. Here I use “scaffold” as a foil to “model.” Scaffold and model share important properties. 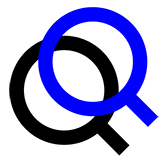 Both come in a variety of forms, prominent among which are spatial, quasi-architectural structures.2 Both are either conceptual or material. Both play a privileged role in the ordering of human physical and mental topographies. But obviously there are important distinctions between scaffold and model. They perform very differently. Each names a different, although at times overlapping, set of functions. The scaffold is programmatic and practical; it is applied strategically. The model tends to be correlative and creative; it is deployed tactically. The scaffold can be assumed to do what it is supposed to do; the model tends to be fractious—often frustrating its handler’s expectations. Though both scaffolds and models can be either conceptual or material, only models can be simultaneously conceptual and material. This distinction may be more fully appreciated in the significantly different ways in which scaffold and model relate to metaphor. Metaphor is a figure of speech that either compares two terms (“her work was her scaffold”) or a single term that represents something different but analogous (“the essay has a clear scaffold”). A model can, of course, be legitimately used, like scaffold, as a metaphor, but its use as a metaphor tends to be more ambiguous. “Her work was her scaffold” suggests that labor kept the subject’s life together. “Her work was her model” might signify that labor provided an order that the subject applied to the rest of her life. But the sentence might just as well mean that the subject devoted herself to the construction of a dollhouse, like Carrie Stettheimer.3 In contrast to scaffold, model almost inevitably bears with it its literalness. Although no one would claim that a scaffold is literally a metaphor, that claim has been made about the model. The metaphoricity of the scaffold suggests why metaphor’s application to the model should be more strictly limited. Metaphor has had a turbulent history. Philosophers have traditionally been suspicious of metaphor and regarded it as dangerous.4 But in the middle of the twentieth century, it was redeemed in academic circles by philosopher Max Black, who published his influential article “Metaphor” in 1955.5 There he identified three views on the ways in which metaphors work. First, substitution—the metaphor simply replaces the literal. It is a form of catachresis or a matter of style. Second, comparison—the metaphor replaces the literal with an analog in the form of a condensed simile. And third, interaction—the analog and the literal collaborate in constructing a new image. Black argues that when metaphors are recognized as creative constructions, as in the third view, they deserve philosophic attention. In my account, metaphors are interactive. Black makes use of his understanding of metaphor as a generative interaction in another widely cited article, “Models and Archetypes,” published in 1962.6 This piece has become the touchstone for thoughtful theoretical considerations of models, both scientific and humanistic. In it Black defines four different model types: scale, analog, mathematical and theoretical. He writes, “theoretical models (whether treated as real or fictitious) are not literally constructed: the heart of the method consists in talking in a certain way.”7 Although theoretical models are objects, they are “deprived of the controls enforced by the attempt at actual construction.”7 Black’s treatment of the ways of understanding metaphor was explicitly hierarchical. His treatment of different model-types is implicitly hierarchical. They are arranged in ascending order not only of abstraction, but also of imaginative productivity. “Lack of control” promotes original thinking. Scale, analog and mathematical models are left behind. It is only the final category of model, the theoretical, that Black argues is metaphor. A model is a thing that has a referent (ideal, real or imaginary) to which it semiotically (indexically, symbolically, iconically) relates, but from which it must differ in significant ways (in form, ontology, complexity, scale, material, function and the like). No model can licitly make truth claims. Although there are no true or false models, there are weak and strong models as well as rightly or wrongly interpreted ones. Weak models act like copies: always subservient to their archetypes.9 A model car is a weak model in relation to its referent. A souvenir miniature of the Eiffel Tower is a weak model of its archetype in Paris. A strong model acts as the dominant subject that determines its weak object. An architect’s model, for example, may be expected to work as an archetype for the building to be constructed. The market may change to conform to a rhetorically powerful economic model made of it. Supermodel Joan Smalls makes clothes look fabulous, though she makes women feel ungainly. Is the distinction that I have drawn between strong and weak models clear? Of course it should not be. Models exert their authority in part by oscillating between their weak and strong potentials. A Barbie doll, which is a weak copy of a supermodel, may, after all, contribute directly to the eating disorder of her possessor. Here I might point out that if a scaffold is literally weak, it is inadequate; if it oscillates, it fails. Every model insists on its interpreter’s familiarity with its particular hermeneutic conventions. To effectively interpret the work of a model it is necessary to have a conventional understanding of the rules of its particular model-type. This is obviously the case with algorithmic models. But it is equally so with less abstract forms. 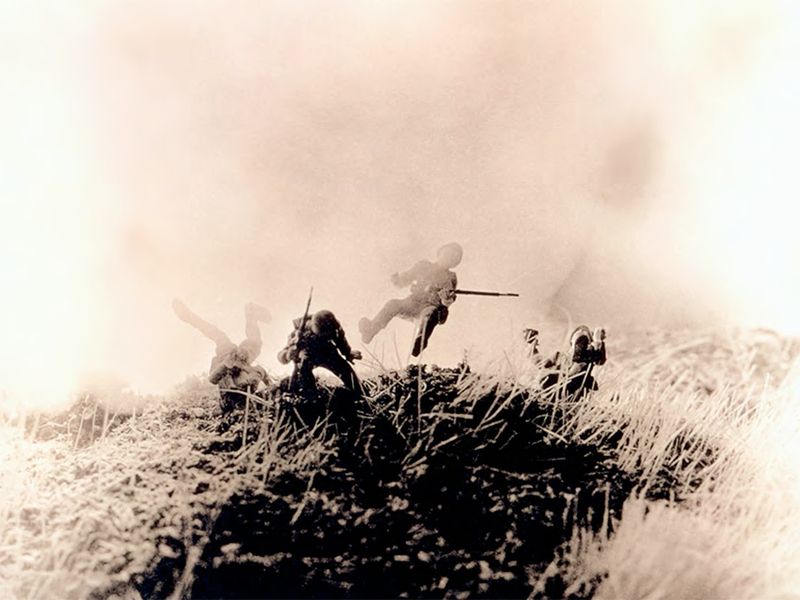 A nuanced reading of David Levinthal’s ironic images of war requires the viewer to recognize both that the figures are model toys, and that model toys are, in ordinary circumstances, objects of play. David Levinthal, photograph from Hitler Moves East, 1975. Photograph courtesy of David Levinthal. In treating models as agents, I am, as in chemistry, naming entities—whether spatial objects, abstract notations, sets of thought, or even human beings (like supermodels)—that have an effect on their physical or mental environments without requiring of them any inkling of consciousness or intentionality. A model-agent differs from a chemical-agent in that its effects on its setting are much less predictable. The model-agent is also like a business-agent. 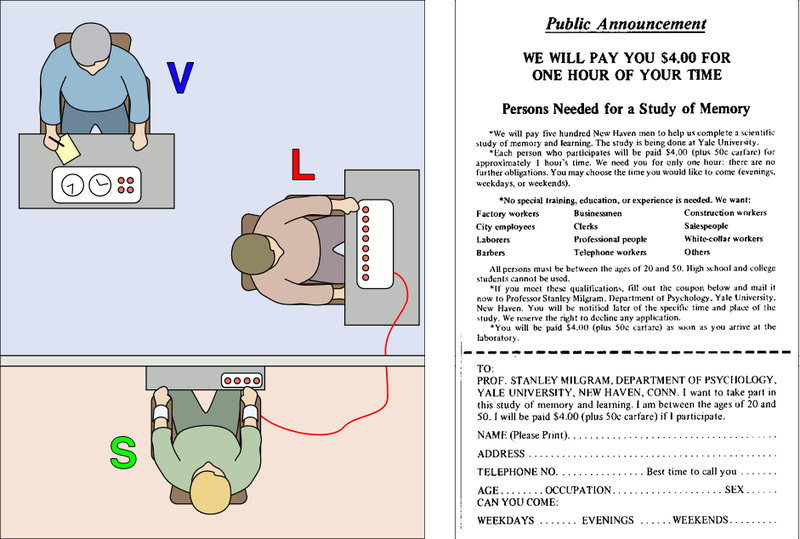 It may be assigned tasks by its principal (maker, patron, or owner). But if and how those tasks are carried out is never contractually binding. That is, however a principal might intend a model to act, its actual performance in the world can never be fully controlled. I am by no means the first to suggest that models are agents. The case for models’ agency is most effectively made by Margaret Morrison. She identifies models not just as agents, but as “autonomous agents.”12 They are, she claims, independent both from the world and from the particular theory about the world that they are designed to demonstrate. She convincingly argues that if models are going to act effectively, they must be distinct from the theories that inspired them and from the empirical data that they are attempting to more fully understand, explain or reveal. I would push her distinction further, and add that models, once complete, are also independent of their makers and their consumers—like children are independent of their parents or, perhaps better, like buildings are independent of their architects. The agent in my definition is, then, at once an actor without consiousness or intentionality, and an actor that is independent—at least in so far as anything in the world is independent. In the sentence “all the world is a stage,” the metaphor is neither “the world” nor “the stage,” but rather their synergy: how one makes the reader rethink the other. It is, as Black compellingly argued, the interactivity of the object words that makes the metaphor. Black found a capacity to evoke new ways of thinking about the world in both the theoretical model and the interactive metaphor. He therefore equated them. But a model, in contrast to a metaphor, is not an operation, but an operator. It is an entity, not a literary construction. Its actuation of new conceptions of the world is not limited to a particular syntactical setting. It can be manipulated and recontextualized. It is, as Morrison argues, autonomous. That autonomy enables a model to act as a powerful mediator between theory and data (like an economic model) or between the senses and the world (like a map). That autonomy also makes the model resistant to its identification as an ineffable “extension of meaning” that happens between symbolic signifiers in a figure of speech. While it might be metaphorically suggested that a model is a metaphor, it can no more be claimed that a model is really a metaphor than it can be claimed that a stage or a scaffold is really a metaphor. Indeed, by identifying models (most particularly theoretical models) as autonomous agents, we must frustrate Black’s understanding of models as metaphors. Why does Black, a very smart philosopher, frame an argument that even an architectural historian finds unconvincing? The answer: he was marshalling his analytic rhetoric in order to make a more fundamental claim. The theoretical model was Black’s Trojan Horse. He used the model, on which science (and the social sciences) increasingly depend, to demonstrate that in the sciences, no less than the humanities, imagination—stimulated by creative, often serendipitous, juxtapositions of seemingly very different things—is the progenitor of new knowledge. Black used a quintessentially literary device to make scientists (and social scientists) less certain that they are so different from poets, and so much more objective than architectural historians: “when the understanding of scientific models and archetypes comes to be regarded as a reputable part of scientific culture, the gap between the sciences and the humanities will have been partly filled….For science, like the humanities, like literature, is an affair of the imagination.”13 He was the forerunner of Bruno Latour.14 My contention that models are not metaphors in no way erodes Black’s conclusion that the sciences and humanities are closer than scientists and humanists tend to think. Rather it reinforces it. All models, not just theoretical ones, act as independent agents in the world—whether well or badly, beneficially or dangergously. And we all need them. Architects, like other model makers, might well claim their models as their property, as instruments of service. But although architectural models, like the models of scientists, social scientists, automobile makers and fashion houses, may be under their producers’ control legally, they are not under their makers’ power practically. Once they are created, models, like humans, have a life of their own.